Almost all successful companies have to constantly invest in training for their employees in order for them to retain a competitive edge over their competitors and for many other benefits. The size of a company shouldn’t matter too much when considering whether training is worth it or not, it’s usually quite valuable for any company. 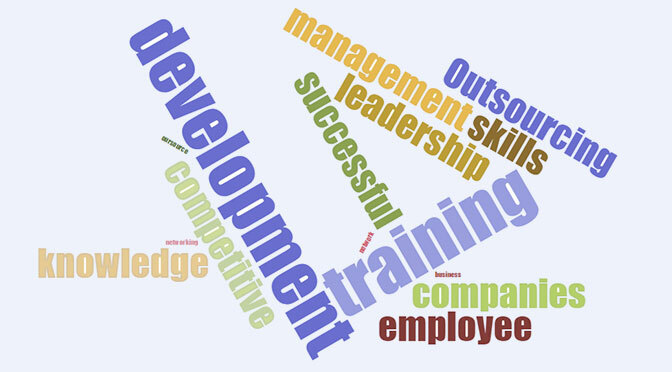 There are two different types of training, one type being for soft skills such as leadership training, management and interpersonal skills, these skills are either self taught gradually throughout life and some people are born with these traits. The other type of training has more of a specialised focus based around hard skills, this can be skills that require technical knowledge such as engineering, programming, etc. Some of the companies that turn down training have reasons such as the ROI being hard to measure in some circumstances where there is no immediate fixed gain from doing so. This is true because when it comes to other investments, it’s clear to see what the ROI is and how successful the investment was. On the other hand, just because there isn’t any instant ROI it does not mean there is no ROI at all. The statistics provided above prove that overall in the long term there is plenty of increases in figures. Establishing relationships is one of the key fundamentals of business, one of the advantages that can be gained from third party training is the ability for employees to network with other delegates on a training course, these interactions could benefit the employee or the company they work for. The delegate will also have the opportunity to individually work on their personal skills while on training courses, skills that they will use for the rest of their life. Taking into consideration the individuals are important because we know that approximately 40% of employees who receive poor job training will leave their job within the first 12 months, the main reason being that the lack of training and development was the cause for leaving. To conclude, there is a reason why all of the successful companies invest heavily into employee training, the statistics show that it only brings positive results over time and should be considered an essential, whether it be in-house training or sending employees over to a training company. It is also about remember that the employee and manager relationship is a two way street and both parties must be happy in their job to really succeed.